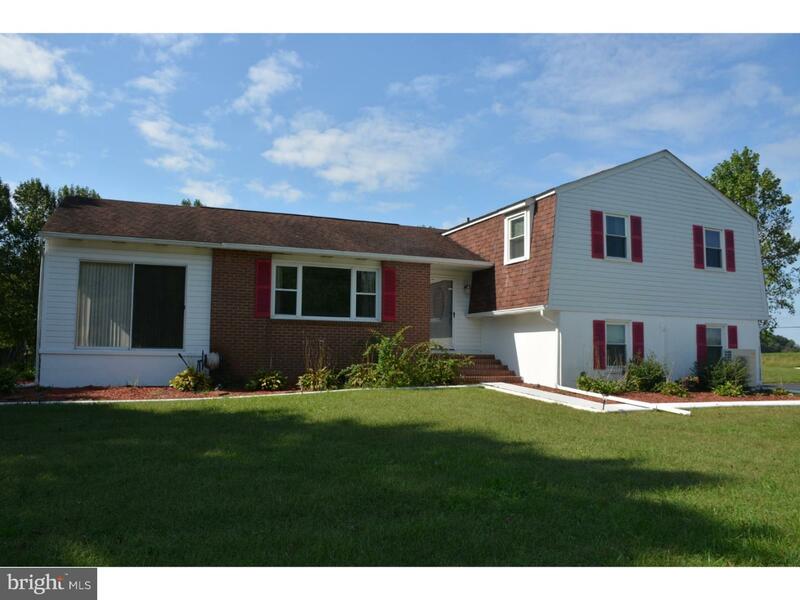 Don't miss the opportunity to make this spacious 4 Bedroom, 1.5 bath split level located in Caesar Rodney School~District YOUR NEW HOME. The property is in "MOVE IN' condition ready to welcome its' new owners into the New YEAR. The eat-in kitchen has been updated with Corian counter tops, dishwasher, microwave, gas table top range and eye-level wall oven. The main level features a well-appointed dining room, sizeable formal living room...both with NEW Carpet, and sunroom/3 season room that leads to the massive deck overlooking the tree-lined rear yard. The deck can also be entered from the kitchen. The free-flowing main level is ideal for entertaining groups of family & friends. The lower level family room, game room/craft room provide additional space for entertaining or simply relaxing enjoying a movie or game night. The lower level has its' separate heating and A/C systems and offers a laundry room and powder room for your convenience. Also offered is full home water filtration system plus additional~Culligan filter system for the drinking water which were updated and upgraded Jan. 2016. Other recent updates include: High Efficiency Trane Heat pump and Vinyl replacement double hung windows that tilt in for easy cleaning. These are just the few of the HIGHTLIGHTS and features being offered by the original owners. This maintenance free exterior gem will transfer with 2 sheds as added value providing lots of storage...PLUS...the septic system has been updated/upgraded. Don't miss out on this spacious non-development 1.4 acre lot and the opportunities it provides. The sellers are motivated so don't wait, schedule your showing today.